Wow you save Rs.500 with selected package!!! Deep Vacuuming of Interiors with commercial vacuum cleaner. First detailed cleaning and then Polishing of Interior Fibre Parts. Glass Cleaning & Smoothing for Scratch resistance. Special purpose roof sponge/ machines for safe and detailed cleaning. Stain removing on seats(upholstery and leather), seat rails, centre console etc.AC vent cleaning by steam machines. Floor mats and carpet cleaning. Complete foam wash of car with commercial pressure machines. We use standard procedures and specifically recommended chemicals for Removal of tar, bug droppings, paint stains, Hard water stains & similar adhesive dirt. Removal of Minor Scratches from Car’s Surface. Removing grease & black stains from engine & bonnet. We have fully equipped van which will come to your doorstep. Water tank is inbuilt inside it, therefore society will not have any objection. 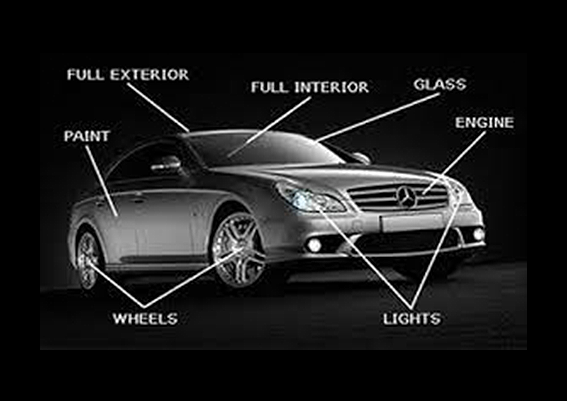 We use powerful, commercial and advanced machinery for detailing. All the chemicals are standard and approved by german car manufacturing companies. Skilled and punctual professional team. We take care of your car while working- Covering electronics and avoiding damages to engine sensors, removing watch, belts.